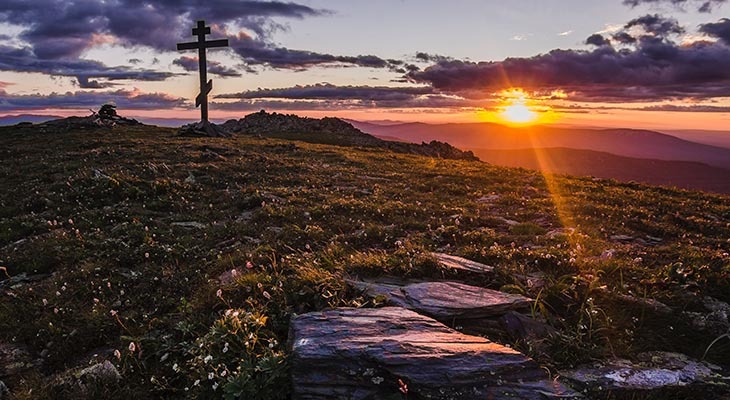 Spread over almost 23 square miles, the Nurgush Nature Reserve encompasses parts of northern European countries (Norway, Finland, & Sweden) and north-eastern Russia, and has stunning vistas. The Nurgush Nature Reserve is home to almost 200 bird species and among the animals inhabiting the reserve are moose, brown bears, beavers, and wild boar. Situated on a floodplain and comprised of 70% forest and 20% wetlands, in the spring it's usually completely flooded for a few days - so best not to visit at Easter, despite the cross pictured above. Summers are cool and winters are cold and snowy. The Nurgush Nature Reserve is mostly closed to the public, but you can obtain permits for some ecotourist routes. Best to work with a travel agent who can negotiate the Russian travel landscape for you. 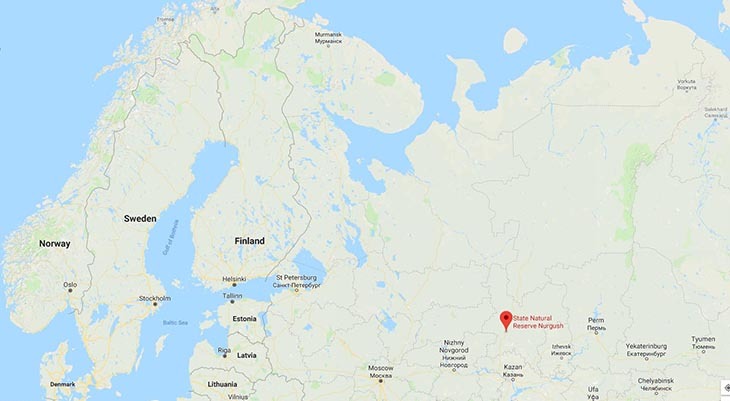 The main office of the Nurgush Nature Reserve is in Kirov Oblast, Russia - south-east of the reserve (red marker on the Google Maps overview below).